Checking your engine data has never been more simple. 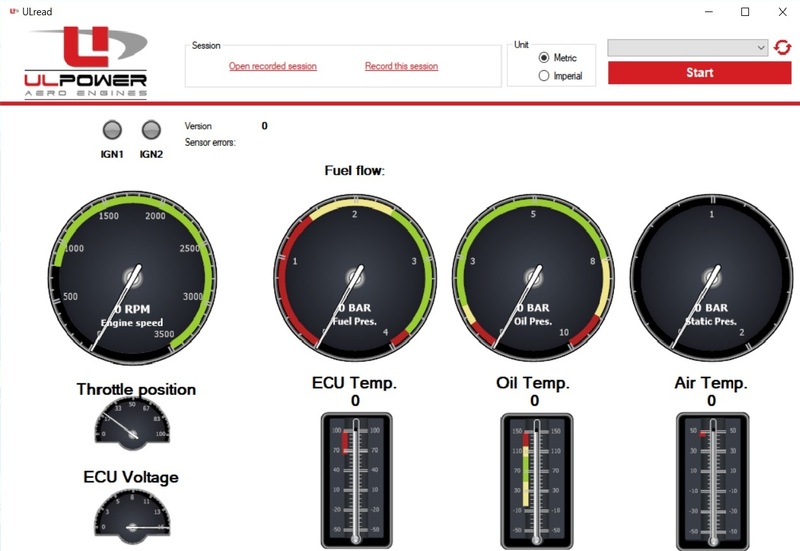 The new ULRead diagnostic software for ULPower Aero Engines, receives data from the ECU and displays these data on screen. Engine sensors can easily be monitored - even in flight - and recorded. Failing sensors will be highlighted on screen. Important: A ULRead Cable is needed to be able to use this software. This is separately available: ULRead Cable - Part n° E080511. Please connect the ULRead cable to your computer/ engine and switch on ECU before starting up the ULRead program. The current ULRead program is NOT compatible with a ULCheck cable.